AMARILLO, Texas (CitizenWire) — Texas prison inmate, Eric Remerowski, is receiving much attention lately for his blog, “Saints Inside,” where he discusses his life behind the walls and razor wire. But instead of just complaining about conditions or “The System,” Remerowski focuses on the positive aspects of the prison experience. He feels it has been an invaluable opportunity to grow spiritually and believes everyone could benefit from such a time-out. His goal is to raise awareness about the many people with excessive sentences who have changed for the better and deserve a second chance at life — to be a benefit to society rather than the burden they are now. But the blog’s main goal, he says, is to help prevent others, suffering from addiction and depression, from ever going to prison themselves someday. With more and more people being incarcerated every year he hopes this is important addition to the blogosphere. Visit his blog at: http://Saintsinside.blogspot.com . Remerowski also created a Web site, www.MysticMinistries.org that he spent over a year hand drawing/writing in his cell as a sort of spiritual “comic book.” He intends to add to it over the years. 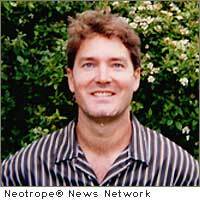 News Source for this Press Release: Eric Remerowski :: This news release was first issued by and is Copyright © 2010 the Neotrope® News Network – all rights reserved. Originally published on CitizenWire™.